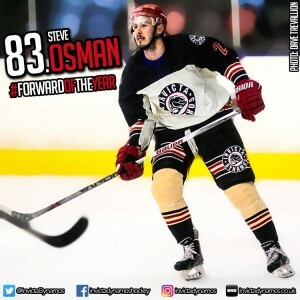 2015/16’s NIHL South Division 1 highest points’ scorer and Invicta Dynamos Forward of the Year Steve Osman is back with the Dynamos after the Swindon born 28 year old signed up for a third season in Kent. Steve Osman is widely recognised as one of the NIHL South’s most formidable forwards and he further bolstered that reputation last season when 29 goals and 51 assists saw him finish the league campaign with 80 points – more than any other player in the competition. He featured 41 times for the Mos in 2015/16 after an early switch from the Oxford City Stars and was one of the team’s most potent attacking outlets – 29 goals and 37 assists taking his tally for the campaign in Gillingham to an impressive 66. It was a landmark year for the skater as he notched his 100th point for the club on the road against the Solent Devils in early March and he finished the term having taken his total number of Dynamos appearances to 69 and amassed 110 points in the process. His efforts were duly recognised at the end of season presentation evening where he was awarded the Forward of the Year accolade and it’s a tally he will now be adding to after he agreed a return for 2016/17. In addition to representing the Dynamos, Steve Osman has a wealth of NIHL experience behind him. The forward has enjoyed brief EPL stints with the Basingstoke Bison and Telford Tigers but it’s in the NIHL’s top tier that he has really made his name with spells for the Cardiff Devils, Wightlink Raiders and the Oxford City Stars. The forward has excelled at each club – managing 63 points in 30 games in Wales, another 46 in 32 outings on the Isle of Wight and 17 in an 11 game stint in Oxfordshire at the start of last season. It’s these returns that have made him one of the most sought after players in the division but it’s the Mos who will continue to benefit from his efforts as he recently penned a deal to extend his stay in Kent. 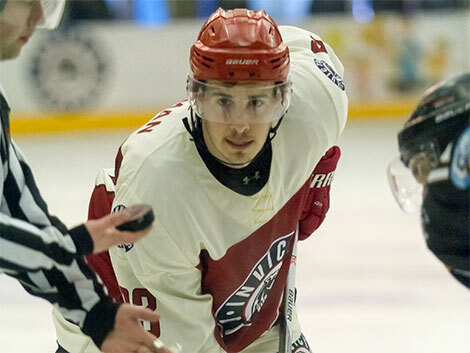 Speaking on the re-signing, Head Coach Kevin Parrish said, “Steve is one of the best two-way players in the NIHL South and there was never any question we would want him back. Last season he led the league in points and was our Forward of the Year so obviously I’m delighted he will return to Gillingham for another term. He links up well with his line-mates, he puts the puck in the net, he wins possession in the faceoff circle and he’s professional in his approach. I’ve no doubt many coaches in this league would love to have him on their roster but the fact that he is willing to travel from west of the country to play his hockey with the Mos tells you all you need to know about his desire to ice for the Dynamos and our fans. Steve will once again be a big asset for the club and I look forward to working with him again after the summer”. Steve Osman’s return takes the 2016/17 roster to 11 and the prolific forward will of course be wearing the number 83 jersey that he has made his own when the new campaign begins in September. Warm-up Jersey – For just £125 get your name or logo printed on the back of Steve Osman’s warm-up jersey. Sponsors are then presented with the jersey to keep at the end of the season. 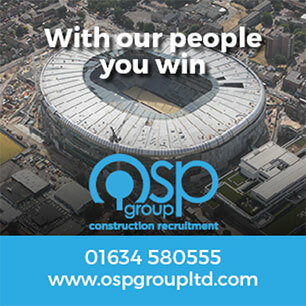 Game jerseys – Get your name or logo on the back of Steve Osman’s game jerseys and become a part of the action.